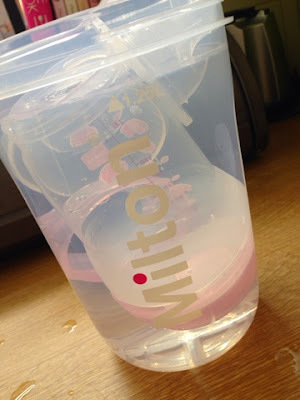 Last week, you may remember that I posted reviews of Milton's Combi steriliser and Portable Soother steriliser. In addition to these, we also received their Travel Steriliser to try out. My parents live a 2 hour walk away (I don't drive) and we go to visit them every Saturday. As the journey is so long, we stay all day so it gave me the perfect opportunity to give the Travel Steriliser a go. Similarly to the Combi steriliser, it can be used in the microwave or using the cold water method. I did the microwave method first. 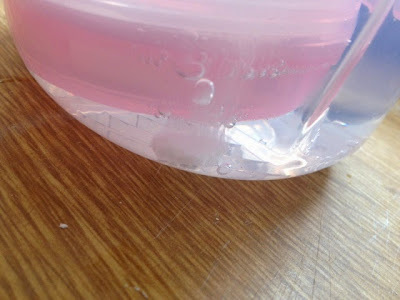 All you need to do is wash all of your bottle parts in warm, soapy water (rinsing in cold water) then pour 60ml of water into the steriliser and insert the parts (bottle facing down) and put the safety vent down. The safety vent increases the temperature inside which in turn leads to better sterilisation. 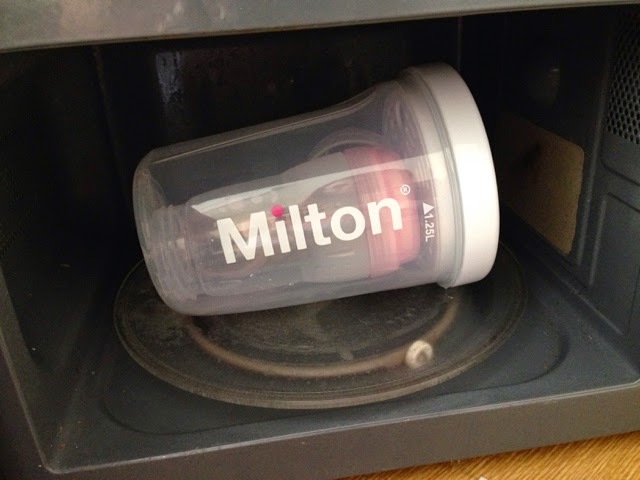 The steriliser should be placed inside your microwave upright but can be put in sideways if your microwave is too small. Mine is a compact microwave so therefore had to go in sideways. Our microwaves highest wattage is 700W so it had to go in for 6 mins. Alternatively, it goes in for 4 minutes at a wattage of 850-1000 or 2 minutes at 1100-1850W. I really love that this steriliser can be used with the cold water method too so you don't need to panic if you are staying at an accommodation without microwave access. This method, like the microwave one, is so easy. Wash your bottle and parts in warm, soapy water then rinse in cold water. Place everything inside the steriliser but with the bottle facing upwards this time. Pour water into the bottle so that it overflows and hits the 1.25L fill line. 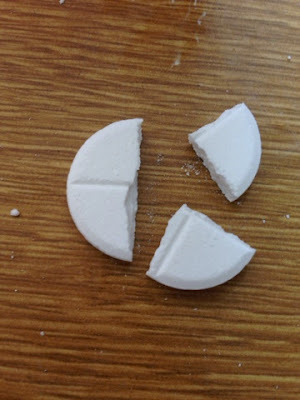 Then, add ONE QUARTER of a Milton sterilising tablet (or you can add 7.5ml of Milton sterilising fluid). Close the lid, put the safety vent down and gently shake it. Wait for 15 minutes and your bottle will be sterile. I love that the sterilising tablets have little crosses on them which make them easy to break. Both ways left my bottle looking clean and ready to use. The steriliser is watertight, BPA free and you can keep your bottle inside for 24 hours and it will be kept sterile. I will definitely be taking it everywhere we go! 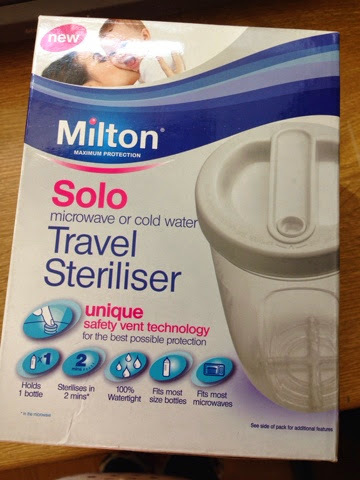 You can purchase your own Milton Travel Steriliser from Amazon for £10.95. You can also find out more about Milton at their website, Facebook and Twitter. (Disclaimer: We received this item free of charge in exchange for an open and honest review. All thoughts and opinions are my own).